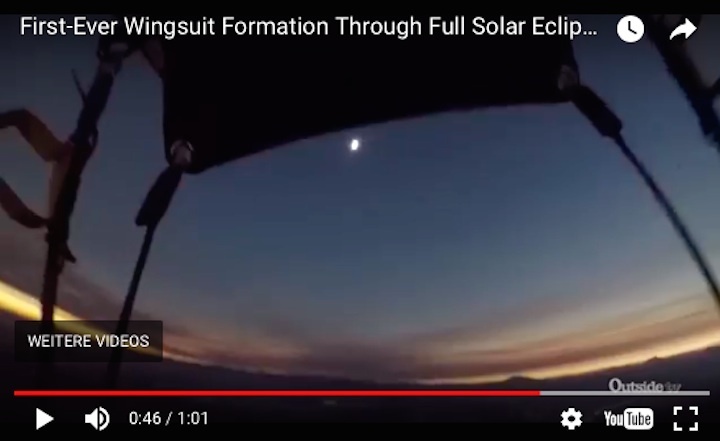 Video footage of the jump – the first time skydivers in wingsuits did a coordinated jump during a total solar eclipse – was released on YouTube. It shows the crew leaping out of the plane over Madras, Oregon, at 10:18 a.m. PDT (1718 GMT). 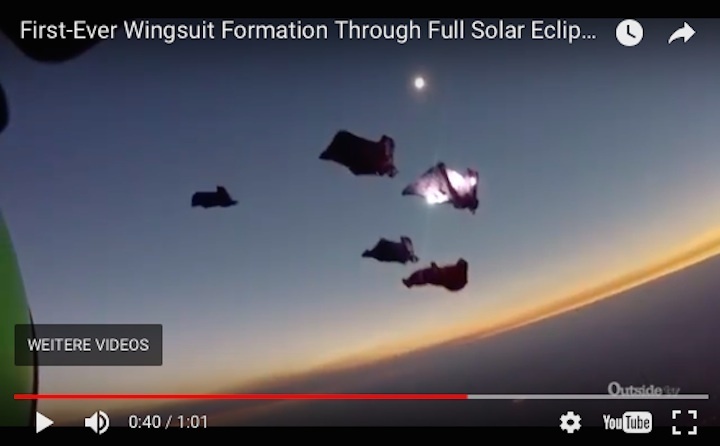 Each wingsuit pilot wore a GoPro camera to capture footage of the event. 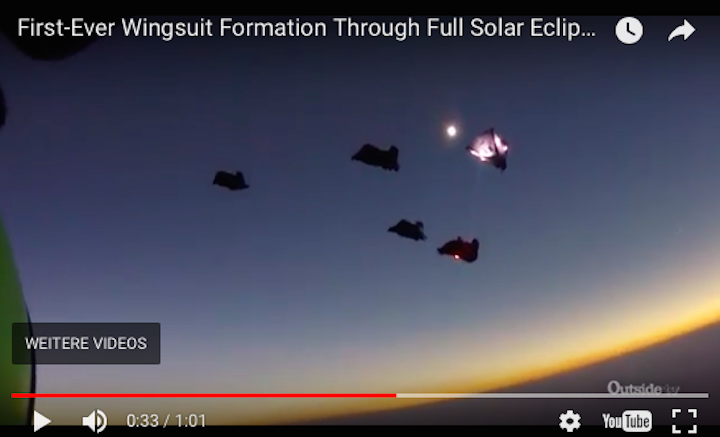 In subsequent shots, the camera view catches up with five other wingsuit jumpers below, including one who is facing the sky while falling toward Earth. Then the skydivers fly in formation in the shadow of the moon. 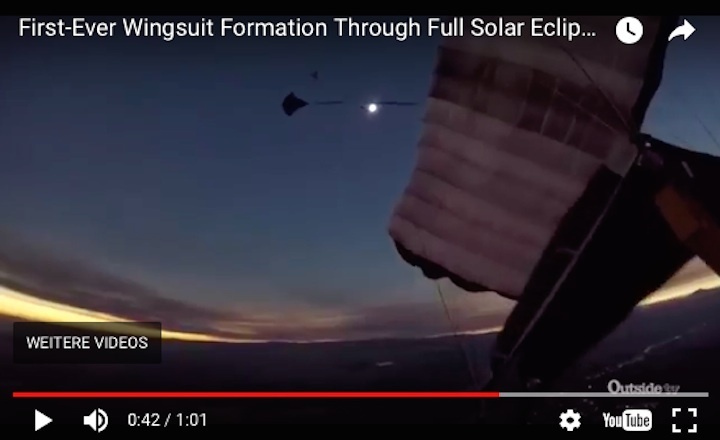 The video ends with a parachute deployed in darkness, and the camera-wielding wingsuiter raises his hands in triumph. "I try to make the most of these special occasions. I want to do something on these days to actually remember them specifically for something we did on that day, more so than something we saw," he added. The short clip, released by Outside TV, is a preview of a longer video. A behind-the-scenes feature, called "Solar Formation," will air at a later date (to be announced) on the Outside TV Network.